What would you do if you could explore the halls of Hogwarts for one day only? Would you rifle through the library, learning as much as humanly possible? Or maybe you'd hope to surf the moving staircases, talking to the various characters that reside in the paintings throughout the halls. You never know what you might find out when the walls have eyes. What would we do? Well, we might just hang out under the starry sky of the cafeteria and eat all the food that J.K. Rolling has been teasing us with for all these years. What's a treacle tart and why haven't we tried one yet? Whatever you'd do with your valuable time in the Wizarding World, you'd want to blend in. These socks are a sure way of showing that you belong in this historic school! 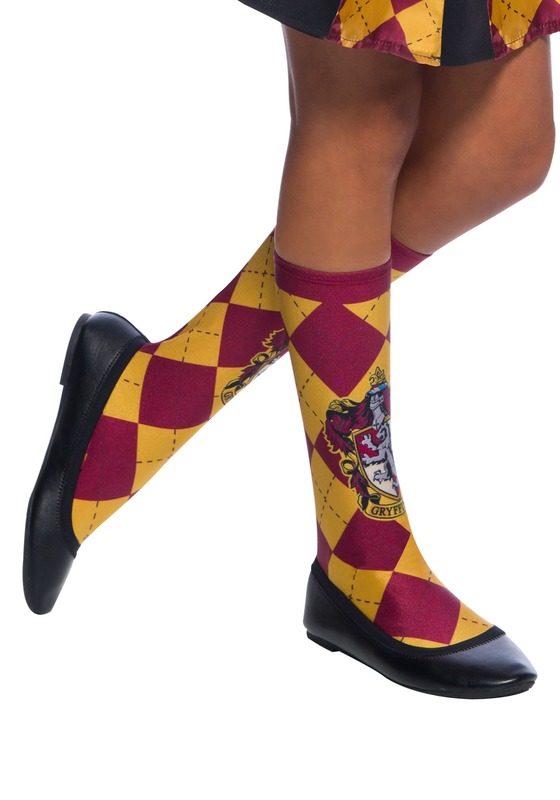 Whether you're dressing up as your favorite Harry Potter character or you just want a little more Hogwarts in your day-to-day, you'll look right at home when you're wearing these socks. The gold and red color scheme is instantly recognizable to any Harry Potter fan and in a sophisticated argyle, you'll look timeless. 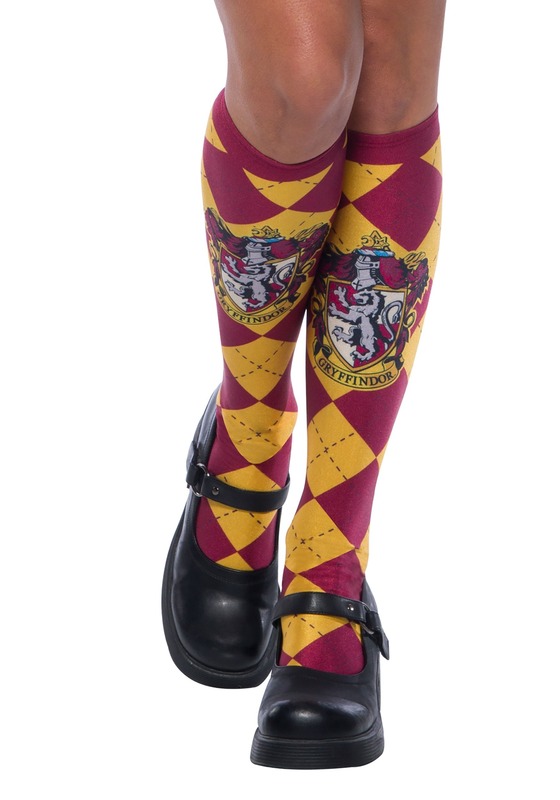 The ankles feature the Gryffindor shield so you'll feel super official. While school spirit usually refers to The Bloody Baron or the mischevious Peeves to the witches and wizards of Hogwarts that doesn't mean you can't show your Hogwarts house enthusiasm. Just slip on these socks and you'll feel that much closer to the magical side of life. And if that treasured white envelope finally shows up in the mail? Well, at least some of your uniform is already covered. The sorting hat will definitely know which house to put you in! That's what happens when you show school spirit! This is the worst purchase I have ever made online. These are NOT socks! They are a piece of very lightweight material sewn in a "tube" fashion, with a small elastic band at the top. They won't stay up and are a total waste of money. Very misleading advertising. Unless the child's calves are the perfect fit, they slide down immediately. I am really sorry to hear this! I've reached out to you through your order to resolve this.